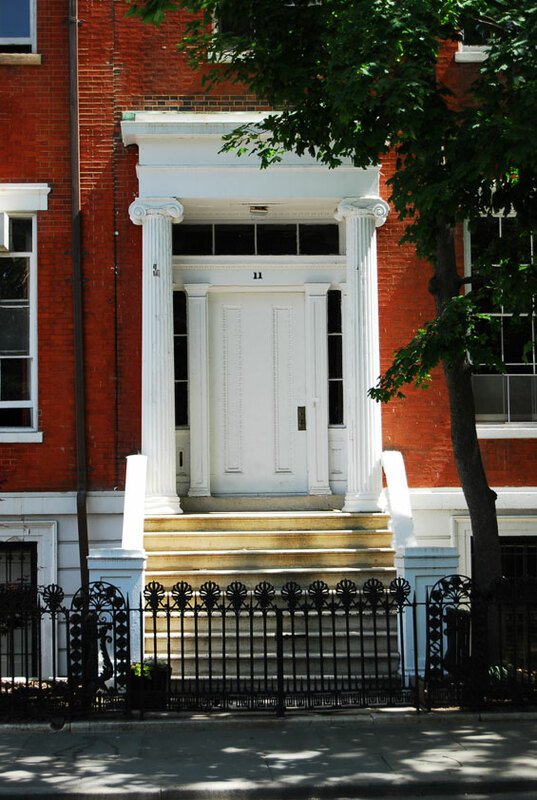 Address: 11 Washington Square Park North, Manhattan. 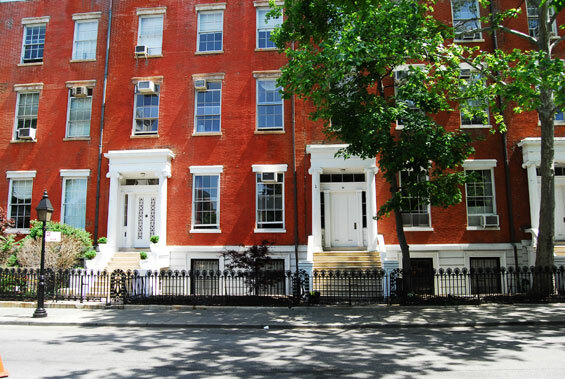 The elegant townhouse is situated within Greenwich Village near to Washington Square Park. Lieutenant Colonel Robert Neville lost his wife Zoe and daughter Marley in a helicopter accident during the chaotic quarantine of Manhattan. 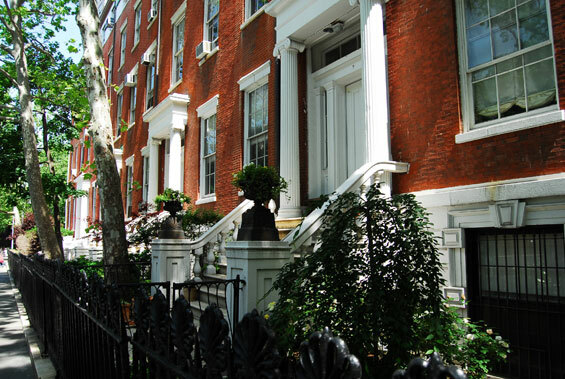 Since then, he has lived alone in a large townhouse in Washington Square. Neville's daily routine includes experimenting on infected rats to find a cure for the virus and trips through a decaying Manhattan to collect supplies from abandoned homes or hunt for the deer that have moved into the city. He also keeps vigil each day for a response to his continuous recorded AM radio broadcasts, which instruct any survivors to meet him at midday at the South Street Seaport. Neville's isolation is broken only by the companionship of his German Shepherd Sam and interaction with mannequins he has set up as patrons of a video store. otsoNY Comments: The filmmakers decided to move the story from Los Angeles to New York City to take advantage of locations that would more easily show emptiness. Warner Bros. initially rejected this idea because of the logistics, but Francis Lawrence was determined to shoot on location, to give the film a natural feel that would benefit from not shooting on soundstages. Lawrence went to the city with a camcorder, and filmed areas filled with crowds. Then, a special effects test was conducted to remove all those people. The test had a powerful effect on studio executives. Michael Tadross convinced authorities to close busy areas such as the Grand Central Terminal viaduct, several blocks of 5th Avenue and Washington Square Park. The film was shot primarily in the anamorphic format, with flashback scenes shot in Super 35. 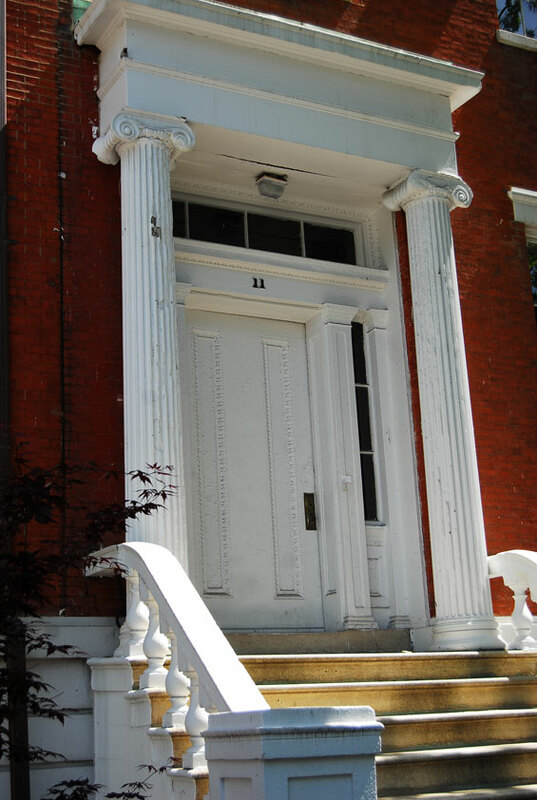 The Marcy Avenue Armoury in Williamsburg was used for the interior of Neville's home, while Greenwich Village was used for the exterior. Other locations include the Tribeca section of Lower Manhattan, the aircraft carrier Intrepid, the Kingsbridge Armoury in the Bronx and St. Patrick's Cathedral. Weeds were imported from Florida and were strewn across locations to make the city look like it had overgrown with them. The closure of major streets was controversial with New Yorkers. otsoNY Comments: A bridge scene was filmed for six consecutive nights on the Brooklyn Bridge to serve as a flashback scene in which New York's citizens evacuate the city. Shooting the scene consumed $5 million of the film's reported $150 million budget, which was likely the most expensive shot in the city to date. The scene, which had to meet requirements from fourteen government agencies, involved 250 crew members and 1,000 extras, including 160 National Guard members. Also present were several Humvees, three Stryker armoured vehicles, a 110-foot (34 m) cutter, a 41-foot (12 m) utility boat, and two 25-foot (7.6 m) Response Boat Small craft, as well as other vehicles including taxis, police cars, fire trucks, and ambulances. In the 1840s, New York City's elite established Washington Square, far from the increasingly commercial environment of Lower Manhattan, as the address of choice. 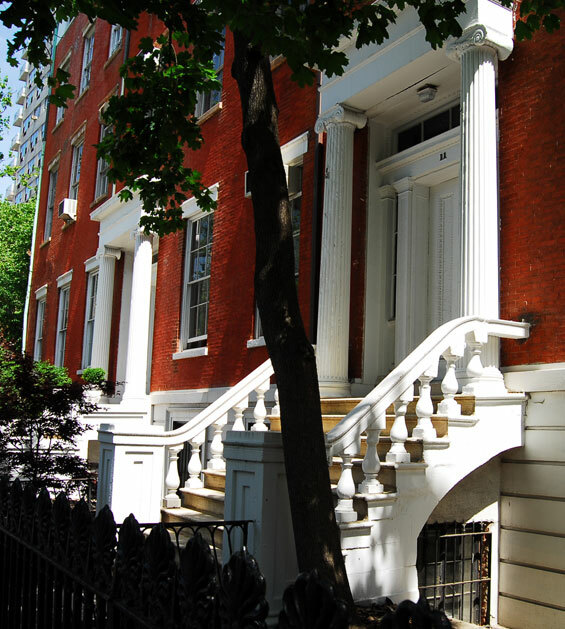 Anchored by the mansion of William C. Rhinelander at the centre of Washington Square North, "the Row" of Greek Revival town houses on either side of Fifth Avenue presented the unified and dignified appearance of privilege. 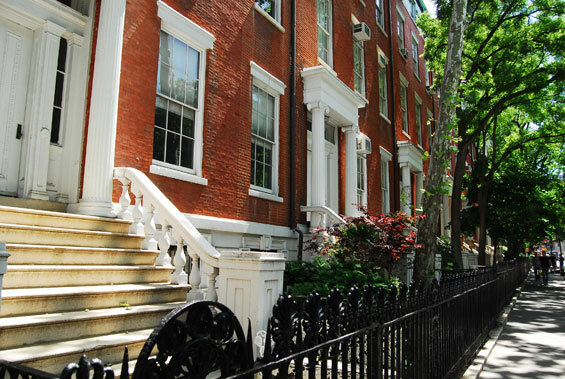 When the centre of New York City society moved north after the American Civil War, the houses on the square came to represent the gentility of a bygone age. Henry James, whose grandmother lived at 18 Washington Square North, depicted this nostalgic view in his tragicomedy novel, Washington Square (1881). Today, most of the buildings belong to New York University's campus facilities.